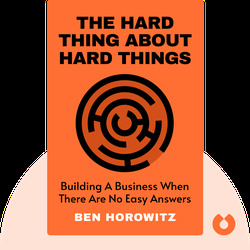 These blinks explain why the job of a CEO is among the toughest and loneliest in the world, and how you can survive all the stress and heartache involved. 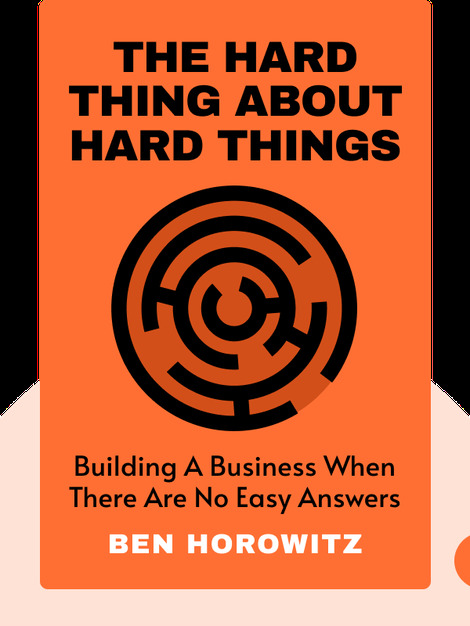 Ben Horowitz is a founding partner at venture capital firm Andreessen Horowitz. Previously, he was a co-founder and CEO at the IT company Opsware, which he eventually sold to Hewlett-Packard in 2007 for $1.6 billion. His blog has over 10 million readers.